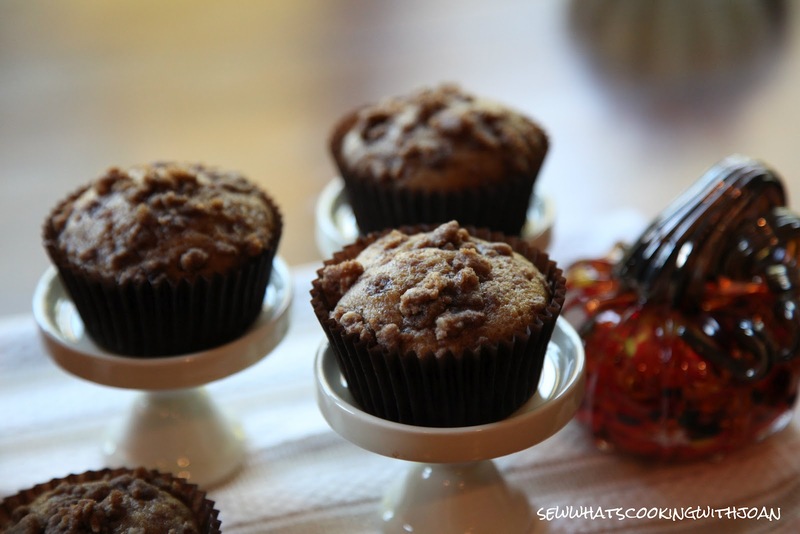 Welcome Fall and fill your home with the fragrance of it with these spiced pumpkin muffins, they are moist and flavorful! In a large bowl, gently whisk dry ingredients (flour, baking powder, baking soda, salt and spices). 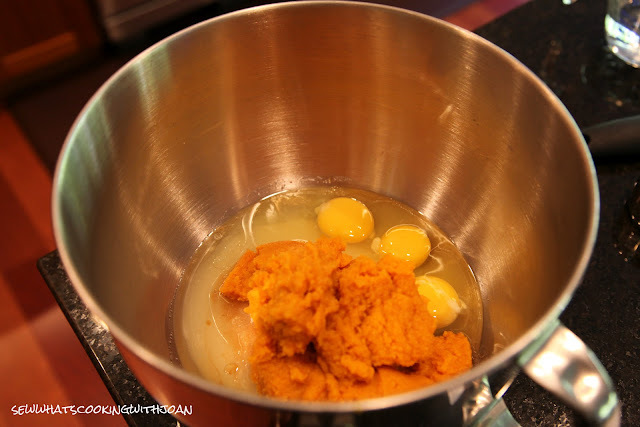 In another large bowl (or the bowl of your electric mixer), add oil, sugar, eggs, vanilla and pumpkin. Blend well. Add water and blend until fully incorporated. While slowly mixing, pour the dry ingredients in with the wet. Mix until just combined. In a medium bowl mix brown sugar, flour, cinnamon and nuts (if desired). Pour in the melted butter and stir gently until the mixture is combined, but some small lumps remain. 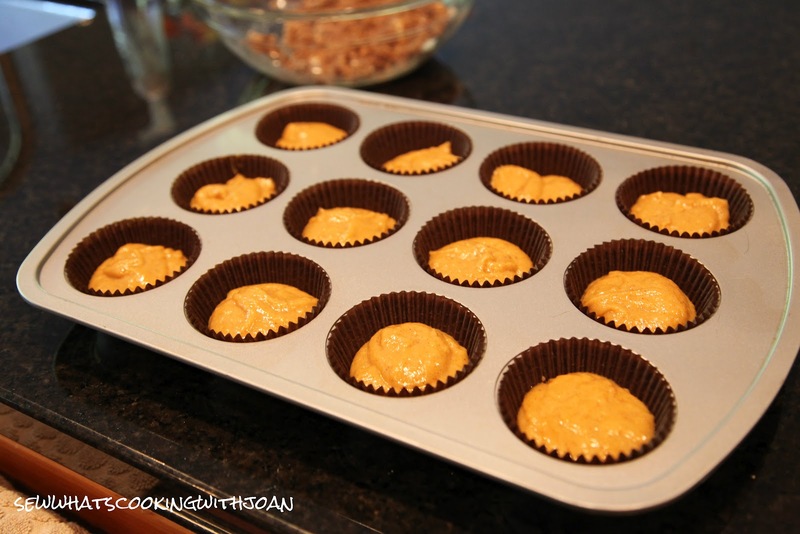 Scoop muffin batter into prepared pan, filling liners about 1/2-2/3 full. Top each muffin with a spoon full of streusel topping. Bake muffins 18-20 minutes (for standard size). 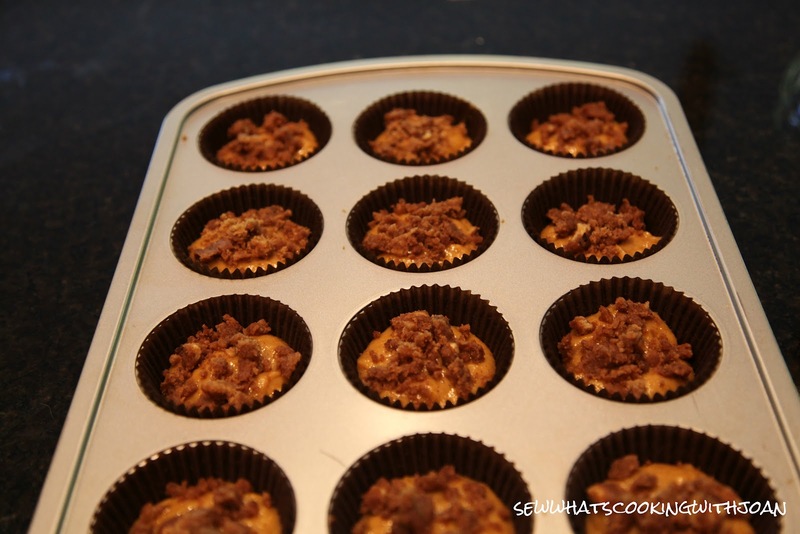 Bake extra large muffins 25-28 minutes, or until toothpick inserted in the center comes out with moist crumbs. 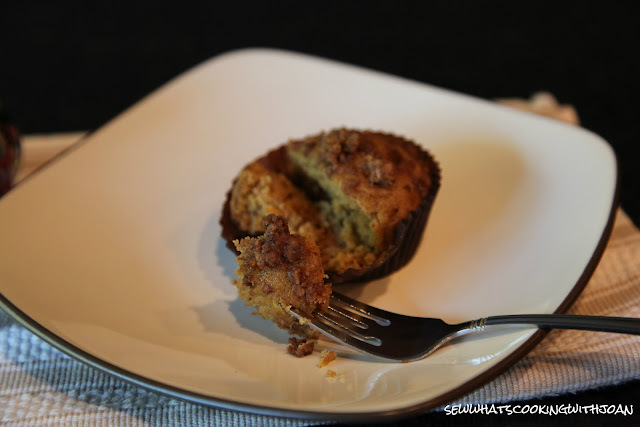 This recipe makes a lot of muffins, so feel free to mix it up and use half the batter for muffins and the other half for a pumpkin bread. You could even forego the muffins altogether and divide the batter between 3 standard size loaf pans. Bake loafs for 50-55 minutes. 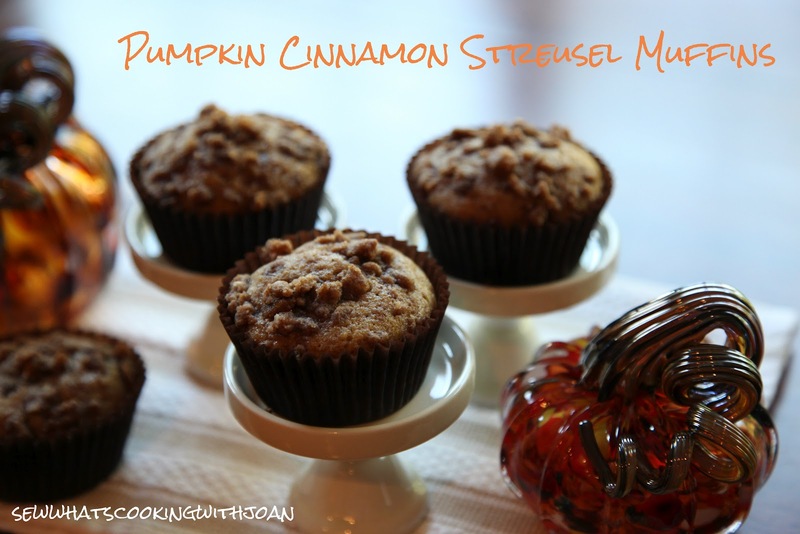 These were moist and delicious and truly did make the house smell wonderful! I hope you get into the kitchen soon and make these. They are a treat. I gave some away to family and wrapped the rest individually with saran wrap and put in the freezer. A few seconds in the microwave will make them perfect again. Next week I am going to share with you an appetizer that I found that incorporates honey! My husband just bought a couple honey combs from the fair. If you haven't had honey comb with a cheese plate, I suggest you do...it's a great flavor profile -the cheese and the sweetness of the honey comb! 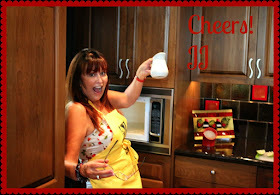 Have a great weekend and come back this Monday for a new post from JJ! I'm sure she has something great cooked up to share with everyone. Mmmmmm my mouth is salivating just looking at these lucious muffins! Your photography is awesome too! Can't wait to try one!